Rockefeller College offers an unmatched tuition value for graduate and undergraduate students. However, we understand that many students have concerns about financing their education. This page provides information about assistantships, fellowships, scholarships and loans that can help students pay for their education. PhD and MPA applicants are automatically considered for departmental assistantships when they apply by their program's funding deadline. See admission pages for application deadlines and requirements. Applicants should fill out the Graduate Assistantship/Fellowship application as part of their online application for admissions. The Paul D. Coverdell Fellows Program is a graduate fellowship program for Peace Corps Volunteers applying to the MPA or MIA programs. Our Coverdell Fellows must complete an approved Fellowship Placement designed to address the needs of a local undeserved and/or at-risk community. Through these assignments our Fellows are able to “bring home, and expand upon, the skills they learned as Volunteers.” This includes skills such as cultural awareness, adaptability, language skills and working in low resource settings. Prospective students will have the opportunity to indicate that they are/will be a qualified returned Peace Corps volunteer (RPCV) who wishes to be considered for the Coverdell Fellowship on their application to the College’s MIA or MPA program. Rockefeller College will waive the application fee for RPCVs applying to the MIA and MPA programs. Learn more here. 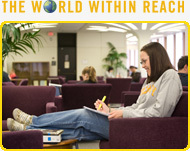 Rockefeller College and the University at Albany offer various scholarship resources for accepted and current students. Please view the Rockefeller College scholarships page for a full listing of available scholarships. Deadlines and scholarship award amounts vary depending on the scholarship opportunity. Learn more. The New York State Division of Homeland Security and Emergency Services (DHSES) Fellowship Program is a distinguished program for leadership and public service that aims to attract highly talented, motivated, and diverse individuals into public service. DHSES has partnered with the University at Albany’s Rockefeller College of Public Affairs & Policy and is committed to providing Fellows with a real-world experience working in a professional homeland security and emergency services agency. DHSES seeks candidates from diverse backgrounds and new perspectives to address the challenges of the 21st century and work to enhance the security of New York State and the nation. The New York State Division of the Budget Fellowship program is designed to attract intelligent, diverse individuals to state government service early on in their graduate careers. The Division of the Budget's mission is to promote the best use of State resources for all New Yorkers, to ensure the financial integrity of the State, and to assist the Governor in managing all State fiscal matters. The DOB Fellowship is for twelve months, with the possibility of renewal for a second year contingent on satisfactory performance. Fellows are paid at the Graduate Assistant rate (currently $16.78 per hour), and may earn up to $24,000 per year. MPA applicants are encouraged to apply when they submit their application for admission; please visit the fellowship page for more information and to apply. The University at Albany offers competitive, merit-based Carson Carr Graduate Diversity Scholarships to graduate students who will contribute to the diversity of the student body in their graduate or professional program. Applicants must be United States citizens or have permanent residency, and must have completed an application for graduate study at the University. The Selection Committee will give special consideration to students who are of a race or ethnicity that is underrepresented in our graduate and professional programs, but will not make awards solely on that basis. Every applicant will be evaluated on his or her own merits. The Carson Carr Graduate Diversity Scholarship deadline corresponds with applicant's departmental deadline for financial assistance (see admission pages for deadlines and requirements). Applicants may download the Carson Carr Graduate Diversity Scholarship application here. The Albert N. Husted Fellowship is awarded annually to a UAlbany senior planning for full-time graduate study in any area of study at the University at Albany or any other accredited university. Award amount is $1,000. Visit the University at Albany's Alumni Association page for more information. The Class of 1972 Scholarship awards $640 annually to a graduating UAlbany senior planning to enter full-time graduate study at the University at Albany during the following academic year. Applicants should visit the University at Albany's Alumni Association page for more information. Rockefeller College provides a directory of scholarship programs that are offered by external organizations, foundations and institutions that may be relevant to applicants and current students. Please research these programs carefully, paying special attention to deadlines that may change from year to year. Undergraduate students who are residents of New York State may qualify for the University's Educational Opportunities Program (EOP). EOP seeks to provide admission opportunities for economically and educationally disadvantaged students of all races who wish to enroll in an undergraduate department at the University at Albany. The Graduate Tuition Opportunity Program (GTOP) provides support for full-time graduate education to individuals who graduated from New York State undergraduate institutions while participating in EOP, HEOP or SEEK programs. Graduates of Rockefeller College's undergraduate and graduate programs often pursue rewarding careers in the public sector, where pay is not as high as that of the private sector. Therefore, students are strongly encouraged to become familiar with FPSLFP, a federal loan forgiveness program for those in public service careers. More information about FPSLFP can be found here. In brief, if you borrow through the Stafford unsubsidized loan or graduate plus loan programs, you are eligible to participate in the FPSLFP, which is a program that will forgive education loan debt after 10 years if certain conditions are met. Students may also take advantage of income-based repayment programs that match monthly student loan payments with a student's income so that the payments are affordable, as low as 3%. Information about income-based repayment can be found in the same link above. PEF members may be provided tuition reimbursement up to $600 for one job or career related course through the Higher Education Incentive Program (HEIP). HEIP also grants a $75 book allowance for required textbooks. More information can be found here. CSEA employees may receive up to $260 per credit hour in tuition vouchers for a single course per semester, limited to a maximum of 4 credits per semester (8 credits per year). See the CSEA catalog for more information. UUP employees may be eligible for a tuition waiver of one course per semester on a "space available" basis. Click here for more information about the UUP Employee Course Registration Program (ECRP). The State University Employee Tuition Waiver Program provides University and Research Foundation employees with partial tuition forgiveness for courses taken within the SUNY system. More information for University at Albany employees can be found at https://www.albany.edu/hr/tuition.php#uup. If you have questions about Rockefeller College assistantships, fellowships or scholarships, please contact our Admissions and Student Service team at RockAdmissions@albany.edu.